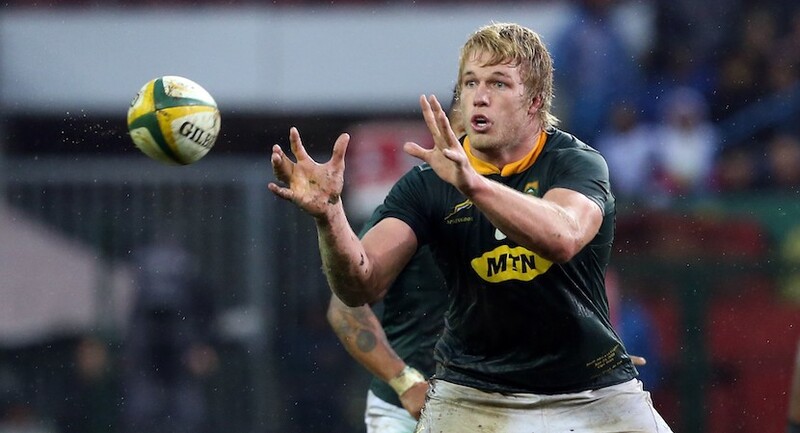 The Springboks have the potential to win the Rugby World Cup, agreed the coaches of South Africa and England, despite a “terrible” performance in a 25-10 defeat in the third and final test of the Castle Lager Incoming Series at a sodden DHL Newlands in Cape Town on Saturday. 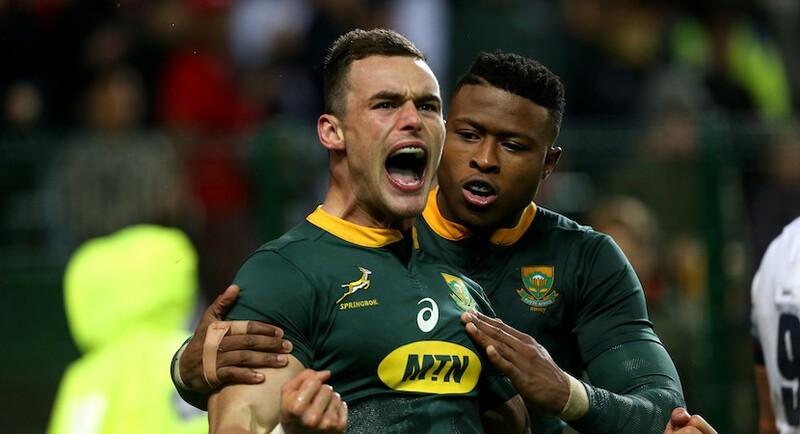 South Africa won the series 2-1, but Rassie Erasmus, SA Rugby’s Director of Rugby, was a disappointed man after the reverse. Springbok Pieter-Steph du Toit in action against the English in the third test at Newlands. Credit: SARugby. “We were terrible today, in my opinion,” said Erasmus. “We did learn a lot today, we knew we took a gamble and we looked at combinations but the things we got wrong had nothing to do with combinations, they were things that we could control such as discipline and breakdown play. However, Erasmus was upbeat about South Africa’s potential: “I really think we can win the World Cup. If we can get it right quickly then we are definitely in with a chance – but we have to manage our talent. England coach Eddie Jones said: “The big difference between the Boks now and six months ago is that they work much harder off the ball; they’ve got a strong maul and when the opportunity arises, they have the ability to move the ball wide and in Willie le Roux they have someone who makes really good decisions. “South Africa has got some bloody young players and incredible depth. They have made some really good gains over the past few weeks and they will continue to get stronger. South Africa are next in action against Argentina in Durban in the Castle Lager Rugby Championship on 19 August, 2018.